Get notified when New Kids on the Block tickets are available! 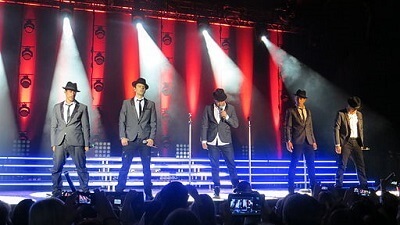 New Kids on the Block is a United States-based boy band from Boston, Massachusetts. New Kids on the Block currently is made up of brothers, Jonathan and Jordan Knight, Donnie Wahlberg, Joey McIntyre and Danny Wood. New Kids on the Block was wildly popular in the 1980s and early 1990s and have successfully sold over 80 million records globally. In 1990 they won two American Music Awards and then disbanded in 1994, only to get back together in 2007 in secret. Be a part of the audience on their next tour by grabbing your New Kids on the Block tickets now.